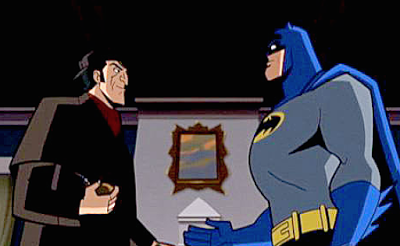 As a kid, I was fascinated with Sherlock Holmes and Batman. I read many of their detective stories and comic books and my childhood dream was to be just like them. Both are known for using their detective skills to track their adversaries, outsmart them, and solve difficult crime cases. I never donned the smoking pipe or cape but in a way I became a detective of sorts in my own right. As fate would have it, shortly after I graduated from the University of California, Berkeley, I found my way to a career in fraud fighting. Throughout my career in risk and fraud management, I encountered many types of fraud attacks. At Google, we experienced ad fraud and went up against nefarious individuals who created fake clicks using armies of accounts and automated methods. At Etsy and Upwork, we battled against spam, payment fraud, and phishing attacks. At Indiegogo, we fought scammers attempting to swindle money from backers with their stories of fabricated technology. In my roles at each of these companies, I noticed a common theme – detecting fraud attacks before they happen and doing so at scale is a fraud fighting challenge for even the largest companies. With the growth of online user accounts, I have seen fraudsters conduct sophisticated attacks using fake and compromised accounts. The biggest headache I felt was identifying fraudsters after they had already committed the act and the damage was done. Organized crime rings have become versed at hiding online, making it very difficult to catch the entire group. As a result, my teams had to spend more time maintaining and updating detection rules and working with multiple third-party data providers in order to get more information to track the fraudsters down. In order to just keep pace with the fraudsters, you needed to analyze millions of events and collect exhaustive labeled training data for your fraud models. Then I met Yinglian and Fang, the founders of DataVisor, and found they were solving each of these pain points that I felt. They had built a fraud fighting method to catch malicious users across a variety of industries all in a single solution. Seeing how advanced tactics from fraudsters can overwhelm traditional solutions, I realized that I wanted to team up with DataVisor so that we could protect all the good users out there and keep the bad guys away. In short, I wished to enable companies to unleash their inner “detective” and catch the attackers like Sherlock Holmes and Batman did – always several steps ahead. Secondly, I believe worthwhile professional and personal growth happens when you take yourself out of your comfort zone and put yourself in a new environment. I have spent a large part of my career developing, building and managing operations teams to protect a single company from fraud, and now I have the opportunity to help thousands of consumer-facing online services with DataVisor’s groundbreaking online fraud detection service. Hopefully in your career, you are lucky enough to find a job at the intersection of something you truly love doing and also lets you work with phenomenal people who are not only passionate about but also the best at what they do in their field. I am happy to say that I have found that combination with fraud fighting at DataVisor. If you’re interested to learn what your peers are doing to fight online fraud, email me at julian.wong [at] datavisor.com to be invited to our next meetup.